Frustrated historians often claim that the average American knows almost nothing about the Revolutionary War--and that most of what they do know is wrong. There are so many misconceptions, inaccurate quotes, and downright lies told about the American Revolution that it is hard for those who study the period to share their knowledge with the average person. There’s a fine line between sharing what you know and telling someone they are wrong. Funny thing, people don’t like to be told they are wrong. During the last election and inauguration I kept finding my jaw on the floor as newscasters stated “facts” that I knew were wrong to millions of unsuspecting viewers. Not one of my helpful e-mails to various news departments got a response or a correction. So, here is our unscientific list of the top 10 myths that we run into here at Breed’s Hill Institute, along with the truth. Be warned, however; the next time you hear someone spouting one of these in public, it is not wise to blurt out “That’s wrong!” This is especially true if the speaker is a teacher, a tour guide, or physically larger than you. People died younger back then. Q: How can statistics lie? A: Easily. Today, with modern medicine, we do have greater a life expectancy and survival rate when ill. Still, that does not mean that a 40-year-old living in 1775 was considered an old man. The problem arises from averaging out ages. In pre-revolution America about 50% of children did not survive their first year. Many more died before turning 18. 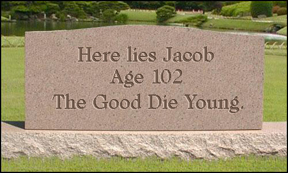 If you survived to 18 then you had a pretty good shot at living to a ripe old age. If you average out the ages when 50% of the population lived under a year, you are going to get some skewed data. 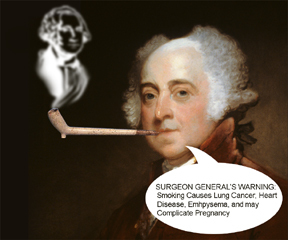 John Adams died at 91, Jefferson at 83, Franklin at 84, all in an age without antibiotics. The United States Became Independent on July 4 1776. This is an easily understood and fairly harmless misconception. 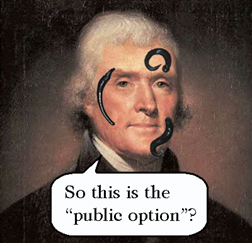 Congress voted for Independence on July 2nd, adopted the Declaration on the 4th and everyone (except for John Hancock and Secretary Charles Thomson) signed after August 2nd of ‘76. 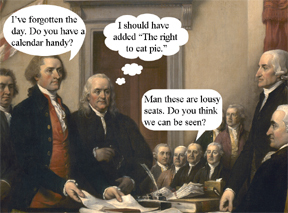 Even though we were officially independent on the 2nd, the Declaration is critical to our identity as Americans. It is in the Declaration that we find the words, “United States” and, “We hold these truths to be self-evident, that all men are created equal, that they are endowed by their Creator with certain unalienable rights, that among these are life, liberty and the pursuit of happiness.” The country was named and given its founding concepts on the 4th of July, when the document was formally adopted. Tomatoes were believed to be poisonous in 18th century America. Most people in 18th century America had never heard of or seen a tomato. Written accounts tell us, however, that only a tiny percentage of those who knew of tomatoes thought they were poisonous. This myth has persisted, however, so that even the author of this article believed it for a long time. Paul Revere yelled “The British Are Coming!” during his famous midnight ride. In 1775, Independence was not yet declared. Everybody was still “British.” Revere yelled, “The Regulars are coming out!” meaning that the Regular troops were coming out of Boston. Another misconception is that Revere was a lone rider; he actually had other riders helping spread the word. The leading cause of death for women was childbirth or burns. Women did die during childbirth at a higher rate than do 21st century women, but the leading cause of death for men and women in Revolutionary America was disease. Stories of women’s dresses catching on fire were so horrific as to be much talked about, but the number of recorded cases was never high. People bit off the ends of clay pipes to avoid germs when they passed the pipe around. Ahhh, but they didn’t know about germs yet in the 1700’s. In fact, most 18th century hygiene is a bit scary by today’s standards. Clay pipes had long stems because they kept the heat away from the face. Most old clay pipe stems are excavated broken because they were fragile. Pipes, like most things in colonial America, were not made to be disposable. If your friend bit the stem off your pipe, you would have taken issue with it. A closet tax existed in the American colonies. I have no idea where this myth started, but I have heard it repeated many times. The story goes that a closet was counted as another room and increased the tax on your house. In truth there are no records of regulations or taxes placed on closets in colonial America, and we have extensive tax records from the time. Doctors used leeches to bleed patients. Doctors did use leeches, but not for any major bleeding. The 18th century doctor believed that the body held about 12 pints of blood (it only holds 8-10 pints). Dr. Benjamin Rush believed you could bleed a patient of 6-8 pints over a few days. For that kind of bleeding you are going to have to open a vein. A leech drinks less than a teaspoon of blood (There’s a fact that doesn’t come up everyday). Leeches were used as cure alls for anything from fevers to facial discoloration but not for bleeding. Americans won the war by using guerilla tactics. There were some battles fought in the Revolution that used non-traditional, Native American style, or guerilla tactics, but they were not the norm and not decisive battles. The war was won when the American army learned to fight like a European army, learned to pick its battles, and got some major assistance from the French. That is all very simplified because the war lasted eight years and Washington learned new lessons and employed new strategies throughout. Only by keeping his army together and in the field was Washington able to finally find the right combination that brought victory. This in no way belittles the bravery and usefulness of the riflemen and minutemen who fought for Liberty, but it took a lot more to win Independence. 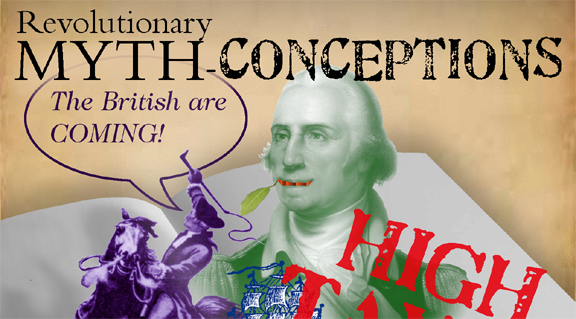 The Revolution was fought over high taxes. The tax rate was higher in England than in the colonies. The argument was over rights. British law stated that British citizens would not be taxed when they had no representation in Government. There were other rights violated as well. The government was making unwarranted search and seizures and denying citizens rights to trial by jury. The British government was restructuring the colonial government without the consent of the colonists, shutting down Boston harbor, and demanding that citizens billet soldiers on their property. Essentially, the Revolution was fought against the arbitrary rule of a government that was not following its own laws, was making itself too powerful and intrusive, and wasn’t listening to the people. Fortunately, nothing like that could happen today. OK, that’s 10. But before we go I’d just like to say…George Washington did not have wooden teeth, he was not the richest man in America, he did not farm pot, and he never threw a silver dollar across the Potomac. 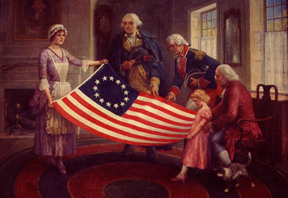 Betsy Ross did not make the first flag, Thomas Jefferson did not create a wall of separation for church and state and there is no treasure map on the back of the Declaration of Independence. I feel better already.